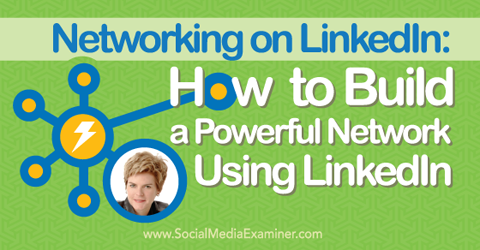 To discover how to network on LinkedIn, I interview Stephanie Sammons. In this episode I interview Stephanie Sammons, a social media strategist who specializes in LinkedIn. She’s written extensively for Social Media Examiner about LinkedIn. She’s also author of the new book, Linked to Influence. 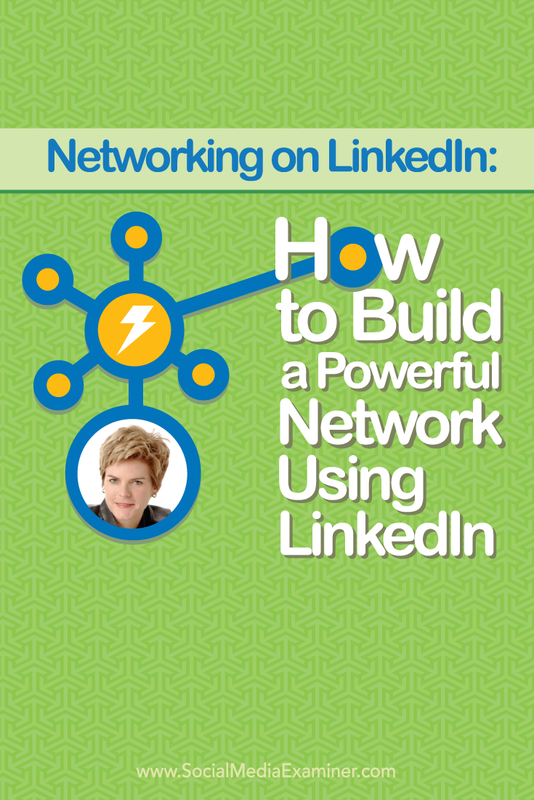 Stephanie will explore how to build a network and prospect using LinkedIn. You’ll discover how to curate and share content on LinkedIn. Listen as Stephanie Sammons shares what marketers need to know about building a powerful network using LinkedIn. Linked to Influence by Stephanie Sammons. Stephanie spent 15 years as a wealth manager at big financial firms. After the financial meltdown in 2008-2009, she ended up taking a package and starting over. Stephanie decided to launch her own business. Initially, she stayed within the financial industry, but then went into the digital marketing space, doing web development and design. For the last five years or so, Stephanie has been writing and speaking about LinkedIn. When she couldn’t find a comprehensive resource on LinkedIn, she decided to write one. There were books about your LinkedIn profile and about how to network on LinkedIn, but she wanted one that covered all the bases. 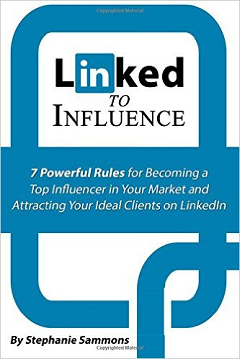 Stephanie’s book, Linked to Influence, provides a framework for building your own personal brand on LinkedIn, and includes networking and other opportunities as well. Listen to the show to hear why Stephanie says LinkedIn saved her life. 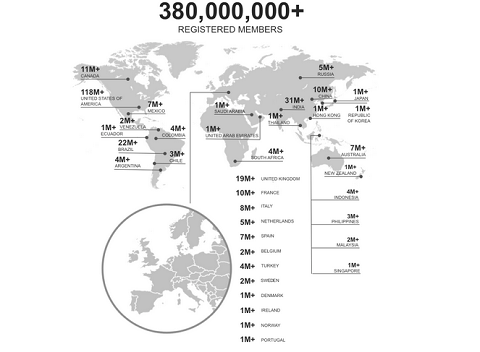 There are almost 400 million members on LinkedIn, 30% are from the United States and 70% are international. Over 60% of LinkedIn members make more than $75,000 a year and 40% of LinkedIn members make $100,000 or more. The users are affluent, well-educated and come to LinkedIn to really connect with others. They want to find or share information, news and knowledge, but also want to build a network, connect with others and make things happen for their businesses. 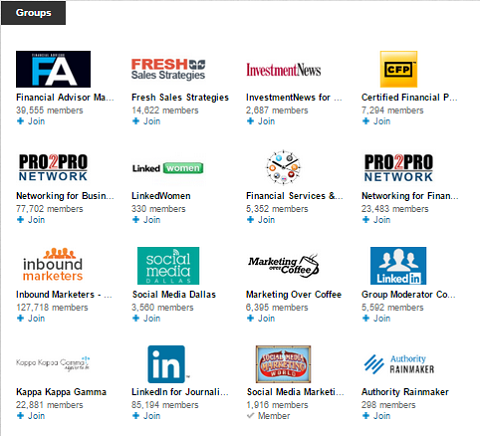 There are nearly 400 million members on LinkedIn. 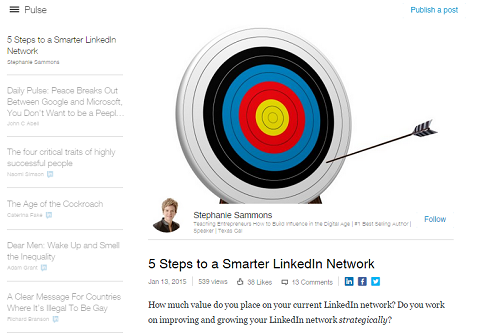 Stephanie likes how LinkedIn does content aggregation. LinkedIn’s Pulse app curates news, based on your network. The smarter your network, the more relevant the content and information you see on Pulse. It includes articles from major media outlets, as well as stories from people you’re connected to who are publishing content on LinkedIn’s platform. The interface on the Pulse app is fantastic, Stephanie says. You can zip through it, save articles, share them and comment. Listen to the show to learn most people’s perception of LinkedIn. Stephanie refers to cultivating the right LinkedIn community as building a smart network. 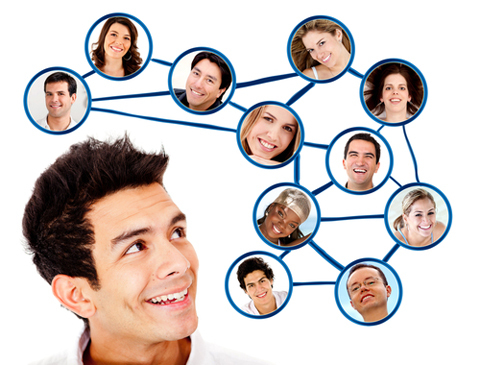 The smarter your network, the more relevant people and opportunities you attract. Have a valid reason for bringing someone into your network. A smart network has market opportunities unique to you. Everyone’s situation is different, Stephanie explains. Look at people in your home and work locations, current and previous industries, your organizations and associations, referral sources, potential business partners, suppliers in your industry, journalists and more. Find the most valuable people in your network. Image: Shutterstock. Take a 360-degree view of the people you know and decide who are the most important. Connect with high-quality people and get to know them better. Listen to the show to discover the myth of a large network. Stephanie is very strategic about who is in her network. She does not connect with every journalist or every person she meets at an event. However, she says, when you meet people offline and then make a connection online, they end up being the strongest relationships, since you’re more memorable. Accepting a connection request is a very personal decision, Stephanie continues. If someone who lives far away and has heard Stephanie speak online, sends her a personal invitation to connect (referencing where he or she heard Stephanie speak), she will likely accept. However, she also uses discretion. Does the person have a picture, an attractive headline summary and a complete profile? Since it has become more challenging to send personalized invitations on LinkedIn, Stephanie recommends people build some kind of rapport with a potential connection on Twitter, Facebook or another social network first. Let the person know you‘d love to connect on LinkedIn and you’ll send over an invitation. Since it will probably be a generic invite, at least they know it’s coming. Another option is to send a paid InMail to anyone on LinkedIn. InMails are valuable, and you want to use them wisely, because you don’t get a lot of them. Upgrade to a premium account to send InMails. You can purchase more, but there’s a limit. Keep in mind, LinkedIn will usually give you a free trial for a premium account. Stephanie shares other ways to reach out to those not yet in your network. If you have someone’s email address, you can send a personal invitation to connect. If you’re in a group, you can send messages to other members (though you’re limited to 15 messages per month). It makes sense to join relevant LinkedIn groups to search group memberships and build rapport with potential clients, as well as possible future business associates. Join LinkedIn groups to find potential future partners. To discover how large someone’s network is, Stephanie says to add the LinkedIn Chrome extension to reveal that information. Listen to the show to hear why it’s good to get to a network of 500+ connections. While being active on LinkedIn seems like a simple thing, Stephanie thinks about 80% of the network does not actively post status updates and engage in the news feed. Share something once a day that is valuable to your network, and you will increase your visibility significantly. LinkedIn is a professional network, so it’s different from other social accounts. Don’t post selfies, pictures of your pets or anything of that nature. Stephanie says it really goes back to the reason you want to build a smart network. When you know the people you’re connecting with, you have a much better idea of what to share with them and determine what they find valuable. You can also see the engagement with each of your updates, so pay attention to what does and doesn’t work. People can take three actions on your updates: like, comment and share. Whenever people comment, it can potentially be seen by their network, so you gain exposure to the networks of your first-degree connections. It’s much easier to get engagement on your personal profile on LinkedIn (as opposed to your company page), than it is on Facebook right now, Stephanie adds. Shares are fantastic. When connections share your post with their networks, they can include their own commentary. Put your own spin on someone else’s update and share it to help that person grow visibility with your network. There are a few different options of things to post on LinkedIn. Status updates are activities that go into the news feed of your connections. They’re short and sweet, though you have a little bit of room to create a message or provide commentary. LinkedIn Publisher is basically a built-in blogging platform. It’s mostly for creating long-form content and articles as a way to showcase your professional insights, ideas and knowledge, while adding value to your network. Content like this cultivates relationships. Share knowledge by writing blog posts on LinkedIn’s publishing platform. When you publish an article on LinkedIn, it gets shared in the news feeds of your first-degree connections, just like a status update. They can click through to read the article on the publishing platform and then comment on the article, like and share it. While third-party tools are extremely useful, if you use them to post links on LinkedIn, the image will not look right. The solution is to type in your message, include the link to the article and then add the image separately. Click on the photo image icon in the box where you’re posting your update, and upload an image (from the article or your own image). The image will now take up significant real estate in the LinkedIn news feed, your commentary will be above it and the link is clickable. Note: Videos will play in the LinkedIn news feed. Plus, people can scroll through a SlideShare presentation right there too. Listen to the show to discover why the Pulse app is so amazing. Stephanie believes if you’re thoughtful and strategic about connecting with prospects, it can be highly effective. She shares an example from her book. The CEO of a bag company received an unsolicited message from a fabric creator, who asked if he was looking for custom threading, since that’s what they do. The custom bag maker happened to be in the market for a new type of bag, but couldn’t find the right partner. They ended up working together. The custom bag maker launched an innovative line of glow-in-the-dark bags, and it was huge. This never would have happened if the custom fabric maker did not send that message. While that example worked well, Stephanie prefers to find a common connection point. Do you know some of the same people? Can you come up with a good reason to reach out and build some rapport first and then talk about possibilities? Can you recognize something that someone has accomplished and tie it into what you do? Maybe it’s a good fit and worth getting on the phone and chatting about it. Listen to the show to learn about the scripts in Stephanie’s book. Have you heard of Blab yet? Blab.im is a live-casting platform. Whereas a podcast is a prerecorded audio show, a live cast combines audio and video. Plus, you can interview not just one person, but multiple people at the same time. Interview multiple people on a live-cast blab. This podcast was recorded on Blab.im. Blab is kind of like a Google hangout, but better. The click of a button on your desktop or mobile device allows you to bring people from anywhere in the world into your conversation. Unlike Meerkat and Periscope, where you are a solo broadcaster looking into your phone and trying to track a bunch of comments as they come by, Blab allows you to be joined by a panel of whoever you want. Bring along a sidekick, bring along a guest or just play roulette and allow people to come into the show and talk with you. Blab is seamless and easy to use, and is integrated with Twitter. Create an account using Twitter, and share your show with the click of a button. On the right, you can see comments within the platform. Plus, interact with people and give props, which are the equivalent of hearts on Periscope. Blab combines Periscope, Google Hangouts and social all into one to create an absolutely amazing platform. Use Blab to create spontaneous shows, get feedback on product ideas and do podcasts. As a matter of fact, this podcast was recorded on Blab. At the end of the broadcast, some of the listeners came on and asked Stephanie Sammons their questions about LinkedIn. As soon as you’re done recording your blab, the video is available to watch. Plus, Blab sends you downloadable mp3 and mp4 files. I’ve done a number of shows on Blab, including one on Blab Strategy and another called A Marketer’s Guide to Blab, as well as a weekly social media show and several spontaneous blabs. Visit Blab.im/Mike_Stelzner to see the shows and subscribe. This is my discovery of the week, and it’s a big find. Listen to the show to learn more and let us know how Blab works for you. Connect with Stephanie on her website. Get the LinkedIn Pulse app. Learn more about sending InMail. Watch this podcast, Blab Strategy, A Marketer’s Guide to Blab and other Social Media Examiner shows on Blab. What do you think? What are your thoughts on LinkedIn? Please leave your comments below. 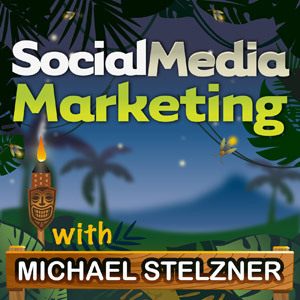 Stephanie Sammons talks with Michael Stelzner about how to build a powerful network using LinkedIn.